Have you ever been to Norway? I spent 3,5 weeks this August in Sweden and Norway. Mostly the northern part of Sweden and Norway as I was attending a university field trip. I study geography and attending such a field trip is obligatory during our studies. You can check out my youtube video to see some impressions of nature! It was beautiful! 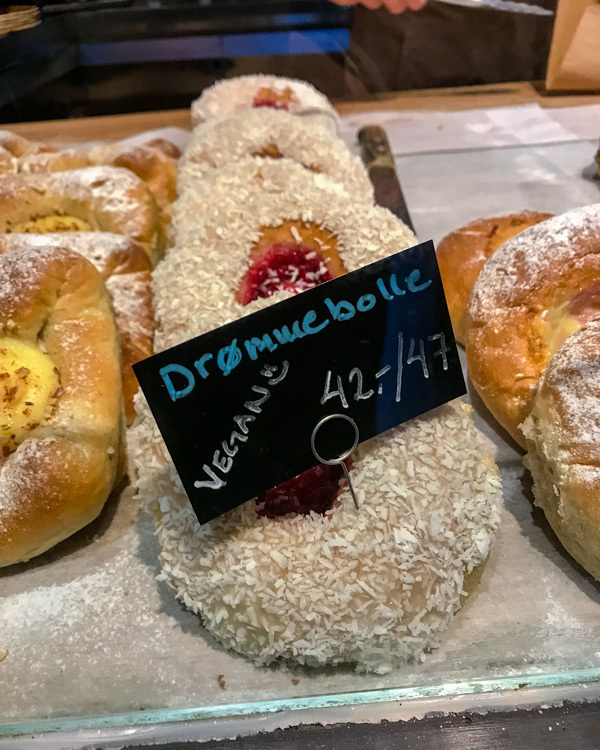 I hope you will enjoy reading my vegan food guide for Oslo & Bergen. My favourite picture in Abisko National Park in Sweden. On the way home, I got out in Oslo. I have never been and I really wanted to check it out. Checking out the vegan spots is such a fun and important part for me. The Vegan Norway App was a big help to me! Definitely, recommend downloading it! Check out their website also. This bakery chain is a bit more expensive than usual bakeries but therefore all their products are organic and really delicious! I tried the vegan bollers (raisin buns) and the cinnamon “rolls” and they were both really good! They also sell juices and coffee with plant-based milk. They have many locations in Oslo and a few in Bergen as well. Unfortunately I never tried this. 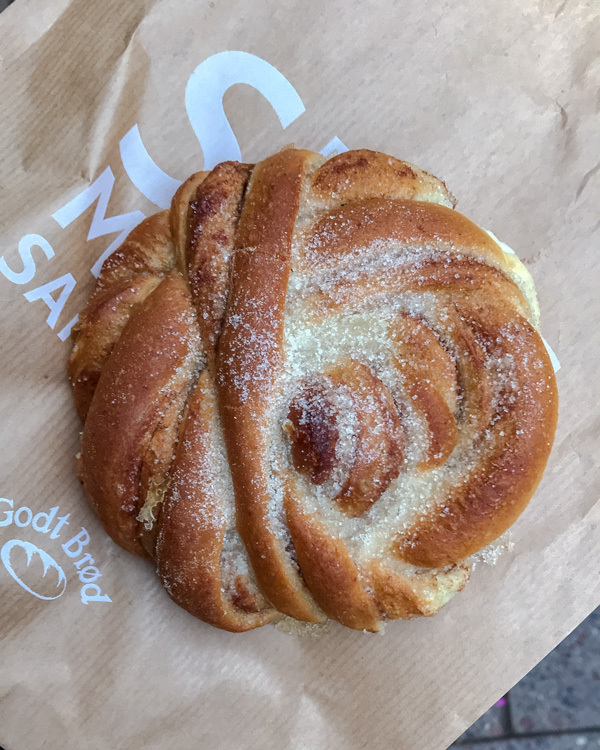 I went to this bakery just before leaving for Bergen, near the train station in Oslo. It´s much cheaper than Godt Brod but the quality isn´t that good. 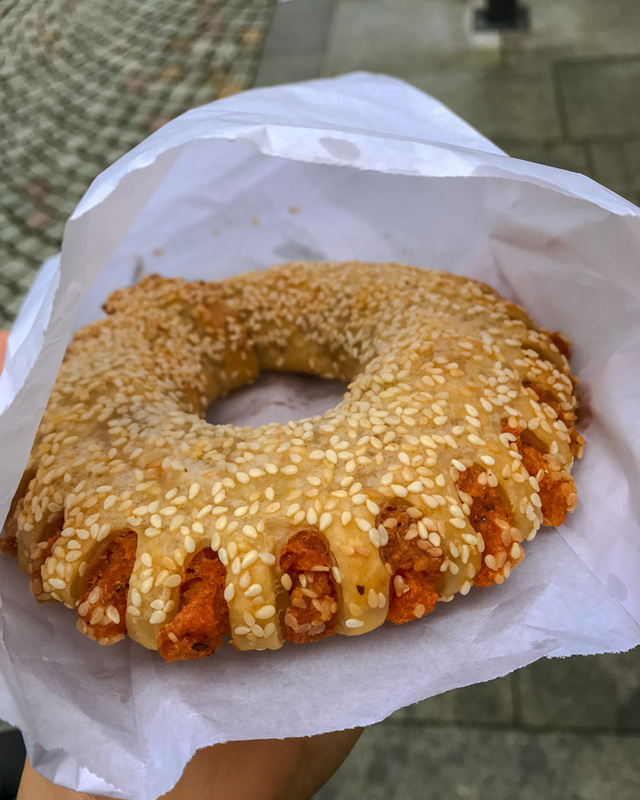 I went for a Pretzel stick (Laugenstange), a Simit (a Turkish ring with sesame seeds) and an “Epledrøm” (pastry filled with apples, cinnamon and raisins). Everything was very tasty! All their vegan products were labelled so it´s super easy to choose your favourite pastry there. They have three locations in Oslo. 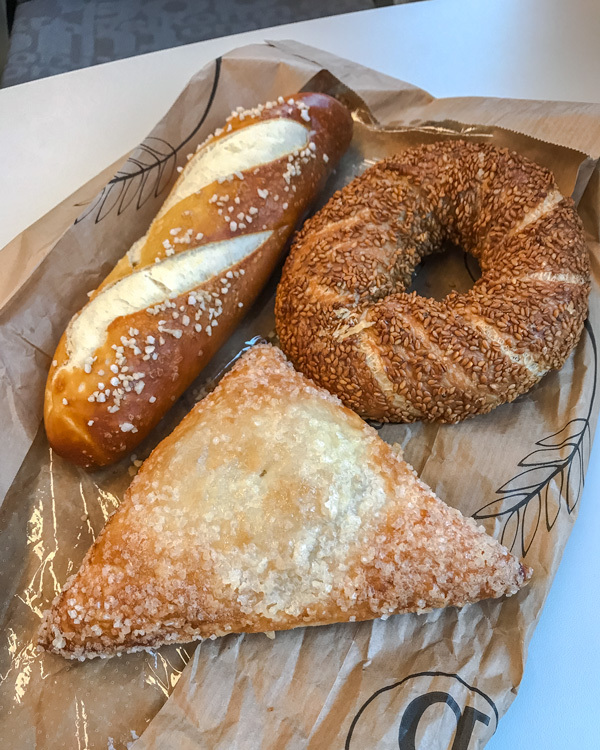 Prezel stick, Simit and Epledrøm. My happy face when I see food!This café is among the first vegetarian and vegan cafés in Oslo. They have two locations. I went to the one at Majorstuveien. Such a lovely location. Perfect for breakfast. They have so many vegan cakes, wraps and sandwiches! The staff was also really friendly. Their mango lassi was also a bomb! I also had the raw tiramisu cake, the baked blueberry cheesecake, the hummus-avocado wrap and the raw crackers! Yes, I finished it all. I rolled down the street afterwards I was so full. Haha. You can also go for lunch, they have a daily menu with many vegan options! I hope I can revisit again and try their lunch. 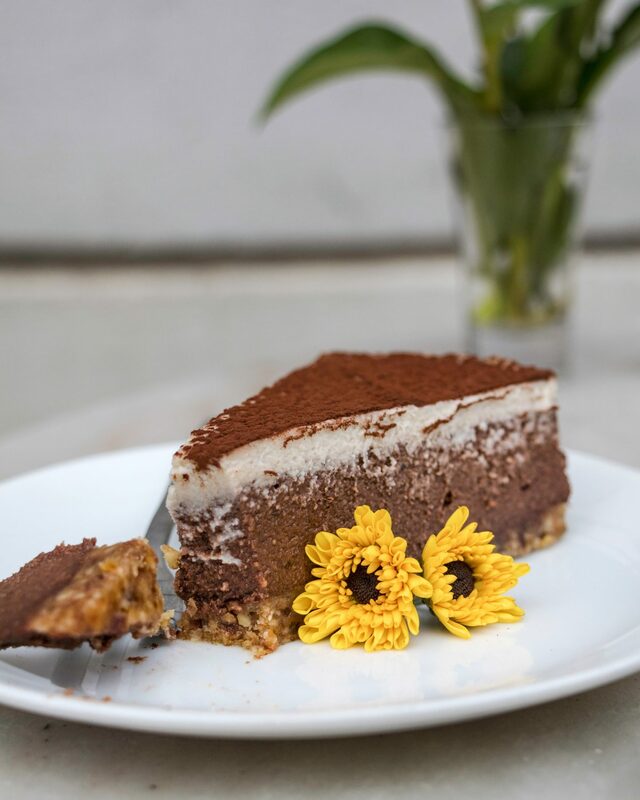 Their raw tiramisu cake was amazing! 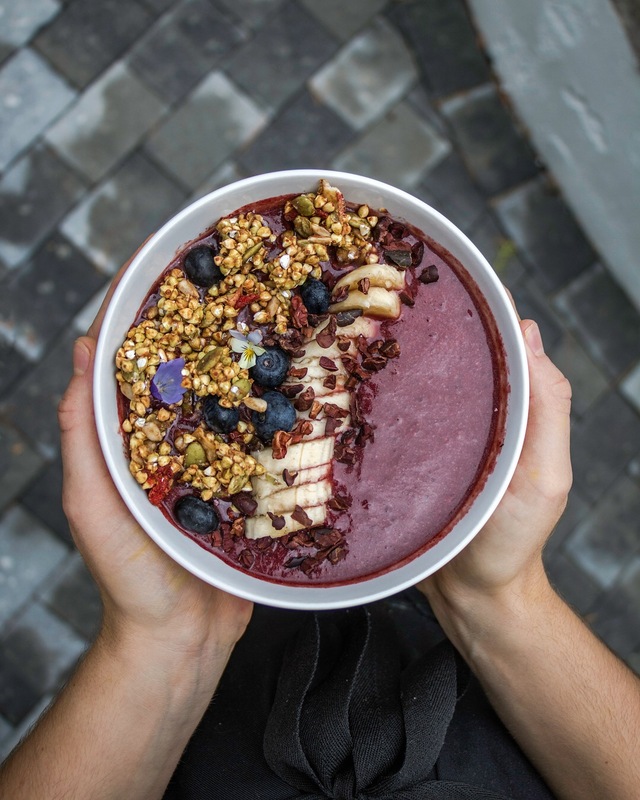 This açai bowl was a dream! Blended is tucked into a yoga studio called Core Balance. I didn´t know this so it was a bit difficult to find it. But now you know, look for the yoga studio. I was really craving a smoothie bowl as on my university trip obviously I couldn´t eat any. I went for the Açai bowl (NOK 89) and two pieces of cake! The raw brownie (NOK 45) was my favourite. The blue yogi costs NOK 49. You have to try their golden milk (NOK 49) as well! So delicious! So much delicious food on one table! Kumi was one of my favourite places in Oslo! Probably because the staff was so welcoming! It´s a relatively new vegan & vegetarian restaurant near Grønlandspark. Super cool interior. I found out that one of the owners is an interior designer which explains why the restaurant looks so cool! 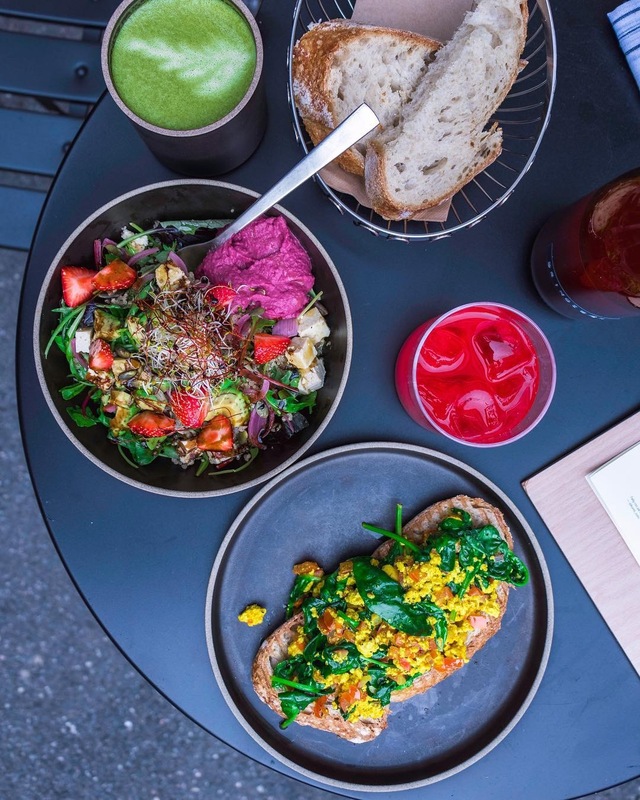 I went for a beautiful matcha latte (NOK 55) some scrambled tofu on fresh sourdough bread (NOK 125) and their delicious summer salad (NOK 145). I also tried the raspberry lemonade (NOK 90) which was like eating fresh raspberries! So good! 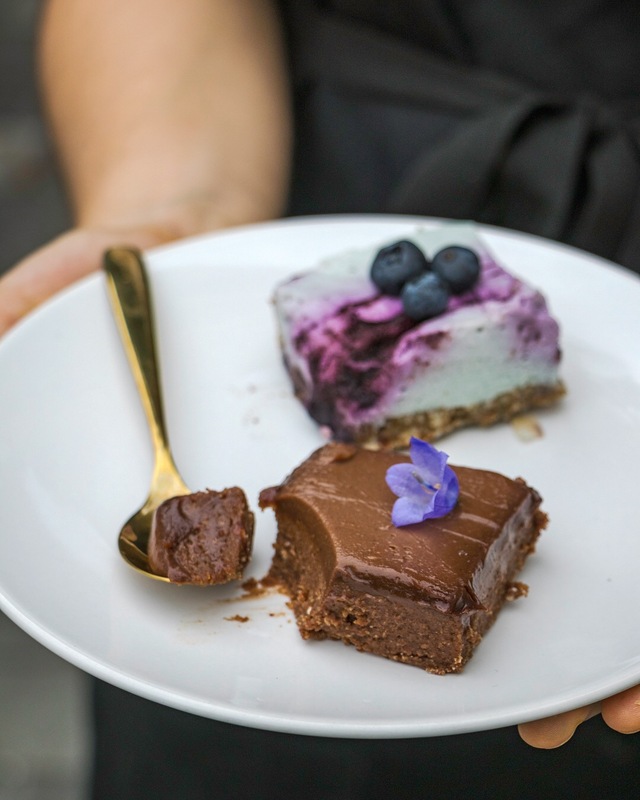 They also have delicious raw cakes, coffee and other warm dishes but not everything is vegan! 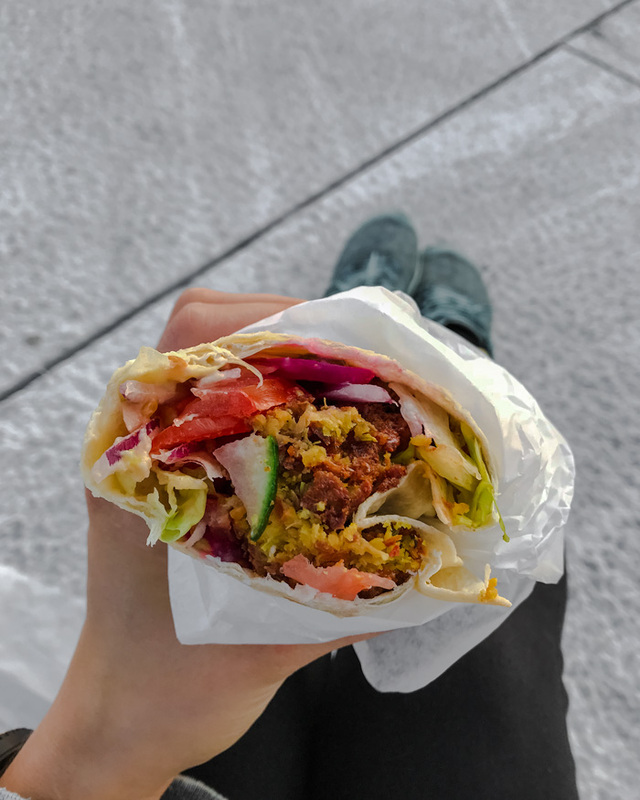 On my first evening in Oslo I got there late and after so much hiking and boring food, I was just craving some good old falafel. I looked up some places beforehand and this place had amazing reviews and apparently cheap falafels! Yes, Norway so expensive you finding good but cheap places is a miracle! I paid NOK 59 (about 6€) for a falafel wrap. Yes, it was really good! Definitely worth the price and super central location. These noodles were really tasty. I ate these delicious noodles at Tunco! I loved the dish! It´s called “The Vegan”. 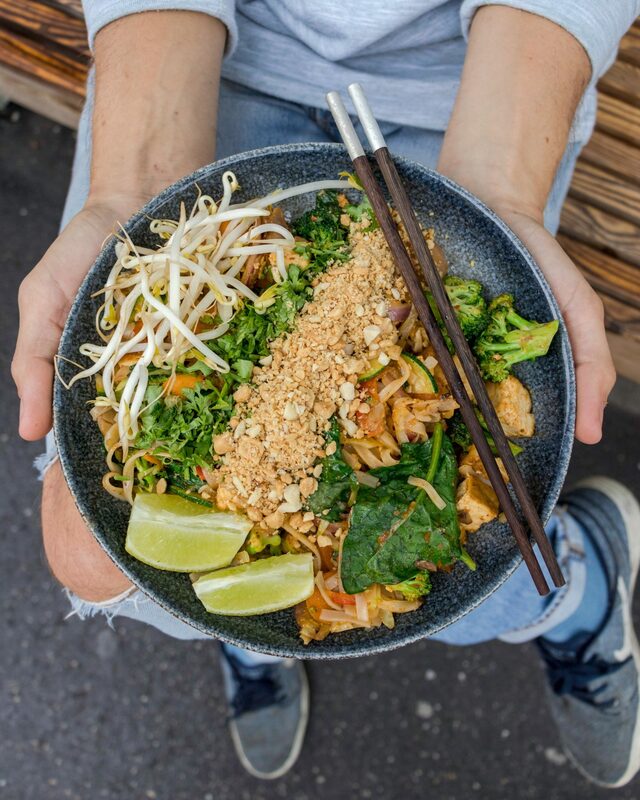 Rice noodles with tofu, red curry sauce, veggies, peanuts, lime and fresh coriander. The coolest thing about Tunco is their concept! Every time you eat at Tunco, a meal is given to a child in need! Meal for meal! Such a cool concept! I have never seen or heard of anything like this before! Have you? I would love to find out whether there are other restaurants like this around the world. Tunco is not a vegan place, not even vegetarian but eating vegan is no problem. You can also choose the ingredients for you noodles as well. A regular size of dish costs NOK 179 if you eat it at the restaurant, NOK 164 for take-away. They have two locations in Oslo. So so happy that a restaurant like Døgnvill offers vegan food! I would have never gone inside but I did my research before going to a city about the vegan spots! I read about their Vegan Viking Burger and I just had to give it a try. I went to their location in Tjuvholmen, at the harbour. It was really busy so I was glad to have reserved a table. 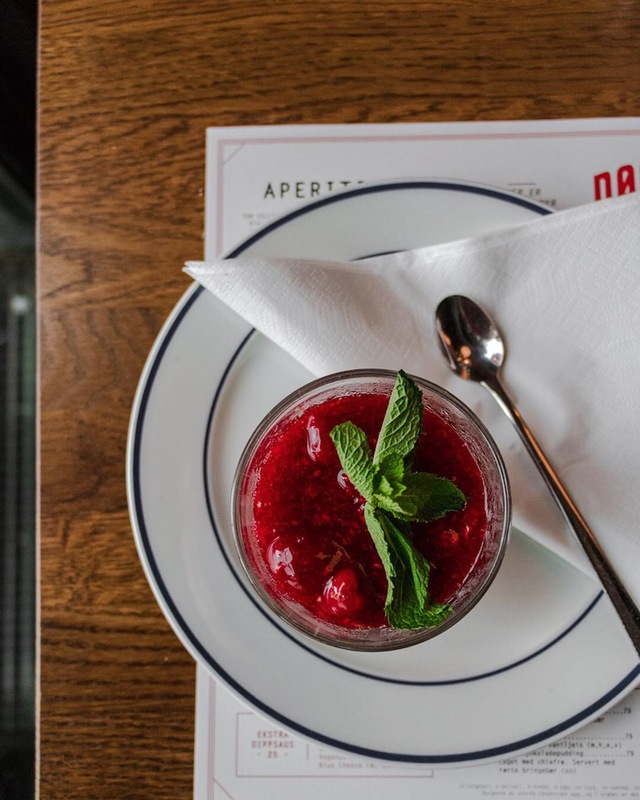 I ordered the burger with some vegan aioli and sweet potato fries and my dessert was some chocolate pudding with chia seeds and raspberry sauce. 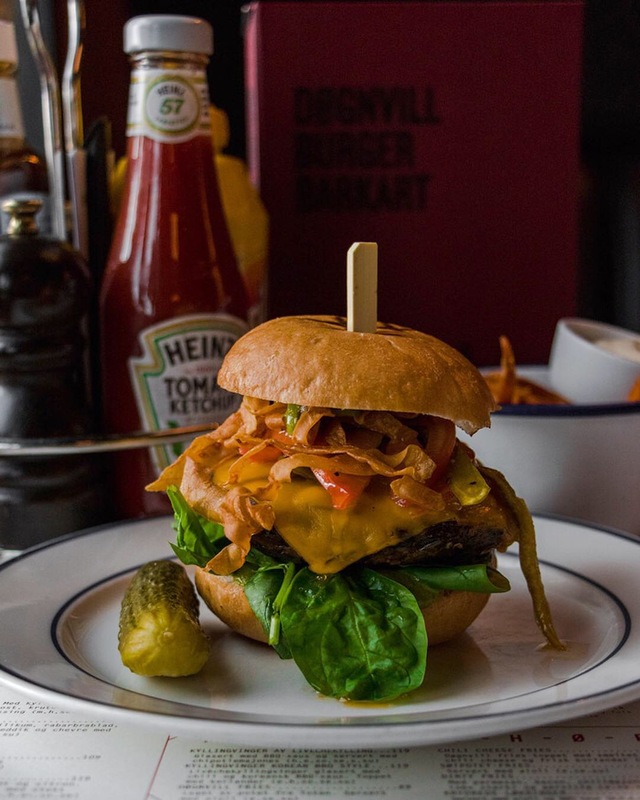 The burger was made of smoked eggplant, paprika, beans, Portobello mushroom and garlic topped with tomato, fried green chillies, parsley root-chips and spinach. Topped with a peanut butter, spinach and chipotle sauce with a slice of vegan cheese. I really liked the burger, it tasted a bit like meat (at first I was confused and had to ask whether it was the vegan burger they gave me). The aioli and the fries were also great but the dessert was a bit boring. Could have been creamier and sweeter for my taste. The Vegan Viking burger costs 169,- , the sweet potato fries with aioli 59,-and the dessert 79-. This was my first time trying Ethiopian food! I have been wanting to try it for ages! It´s great to order a bigger platter and share it with your friend/friends. 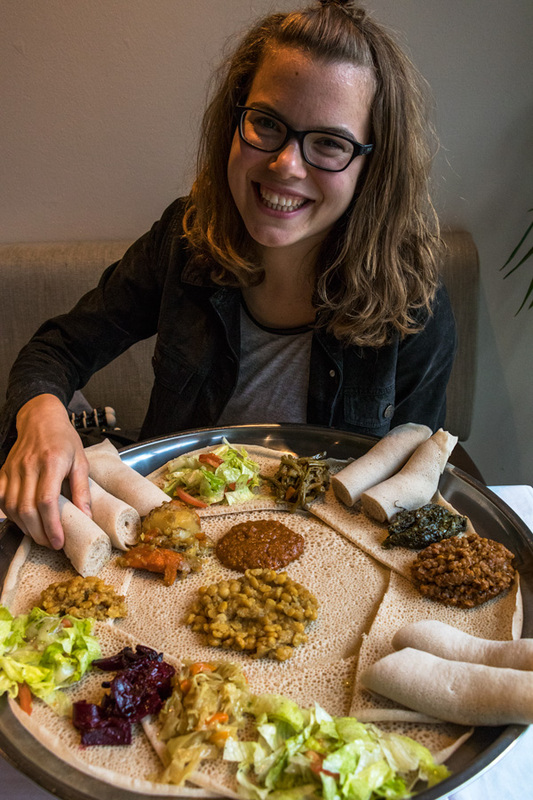 I must say Ethiopian food hasn´t turned into my favourite cuisine but I´m definitely giving it another chance! My friend on the other hand loved the food! It´s a lot of fun eating with your hands, that´s definitely a new experience! The staff in Naomi was really friendly! They have many vegan options! The location is really central! Peppes a big restaurant chain for pizza and burgers but mainly for pizza! When I saw that they had vegan pizzas, I had to come! I went for the Chicago Oumph! which has a thick base and is topped with Pulled Oumph! vegan chili aioli, mushrooms, red onion and leeks. The California Oumphh! has a thin base and has similar toppings. A regular size pizza costs 168,-the big one 288,-! Yes I went for the big one because I was so hungry but no I couldn´t finish it. Did I like the pizza? Not really. My happy face when I see food! I wish there was some vegan cheese on top. I really missed that. 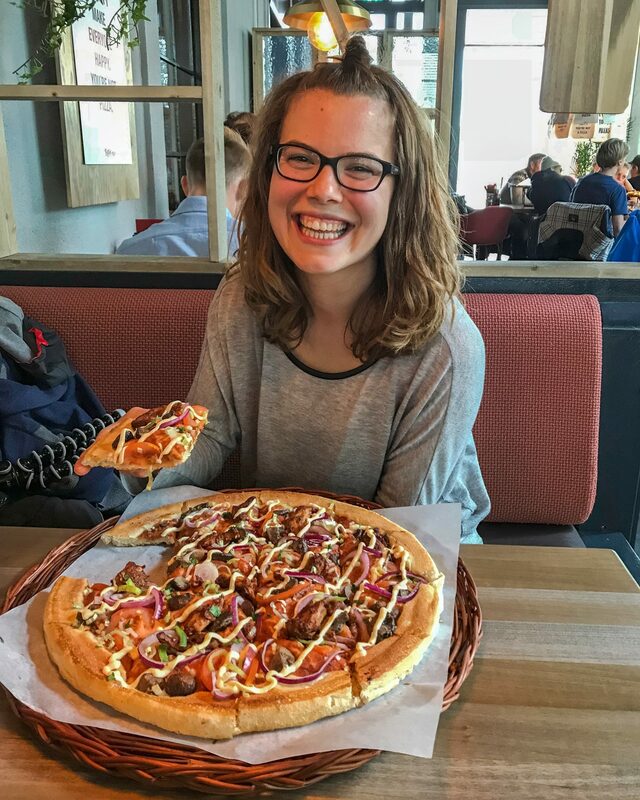 The pizza dough was too thick and didn´t taste that great but I still wanted to let you know about a place with vegan pizza! Peppes is a big chain and is very famous in Norway. They have restaurants all over the country so if you are craving some pizza, then maybe you could give it a try! Let me know you what you think!They also have a vegan burger and some vegan salads. So good on you Peppes for offering some vegan food! On my last morning in Bergen, thanks to the Vegan Norway App I discovered this tiny pie shop! They usually one or two vegan pies and I think it varies often! Mine was filled with olives and tomatoes and it was amazing! It was still warm when I bought it! It cost me around 30,-. Totally worth it! You also get 10% off if you are a student. All in all, being vegan in Oslo and Bergen is not difficult. The supermarkets don´t have that many vegan options yet but you won´t starve! I found amazing vegan ice cream and the Swedish company OATLY also has so many more products in Norway than in Germany! 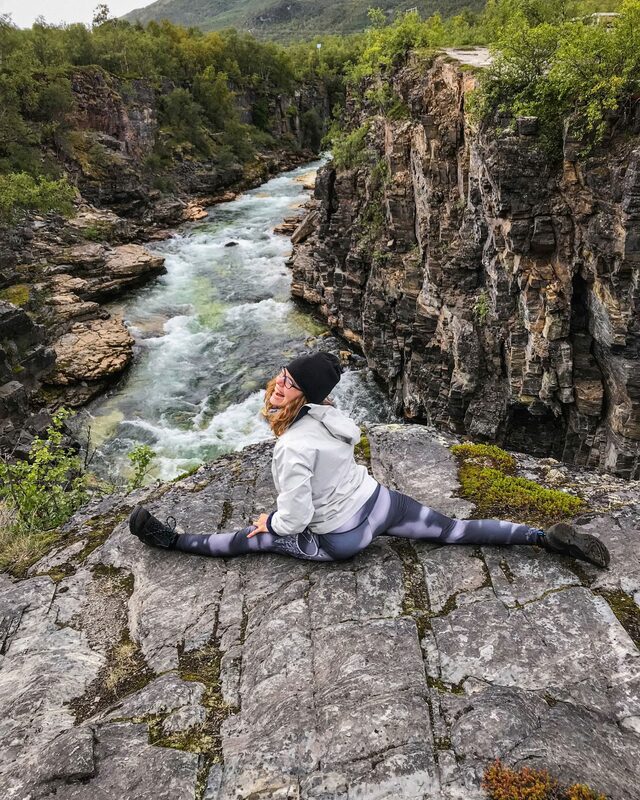 In the North part of Norway, it wasn´t that easy being vegan. Even finding hummus was a challenge but the supermarket Rema1000 saved us in the end! Kiwi is also a great supermarket! Some of them even had vegan cheese! 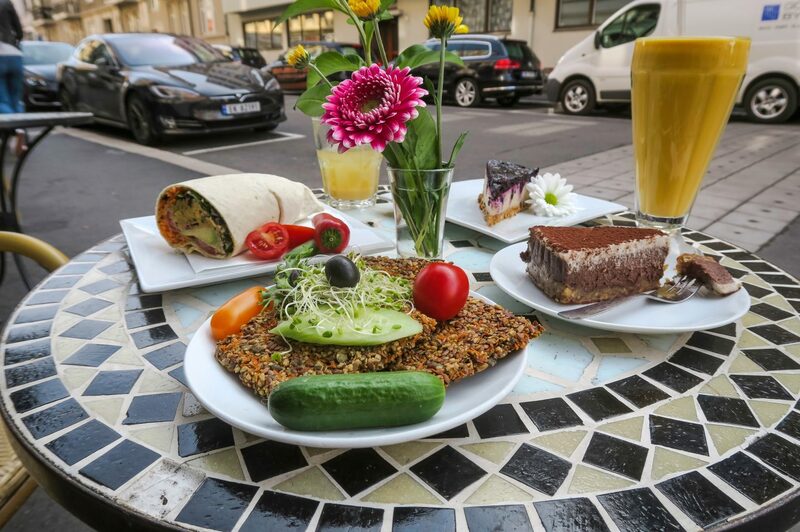 Check out my Vegan Food Guide for Budapest! So many great places there as well!